Polish deputy minister for development, Paweł Chorąży, left government because he said a banal and obvious thing: Without immigrants in Poland, there will be not enough hands to work and no economic growth. Rather than demonise them, the government should welcome the newcomers, writes Bartosz T. Wieliński. The Polish consulate in New Delhi is not closing its doors, and several consuls are barely able to keep up with issuing visas. Eager to work in Poland, where the lack of workers is becoming an increasingly serious problem, they come in their thousands. Not just Indians but also citizens of Nepal. In 2017, 7,000 of them were issued work permits. In the first half of 2018, there were already 9,000. 7,000 is a symbolic number. It is precisely the number of Syrian refugees who found refuge in Greece and Italy and, in September 2015, were agreed to be taken in by the government of Ewa Kopacz. 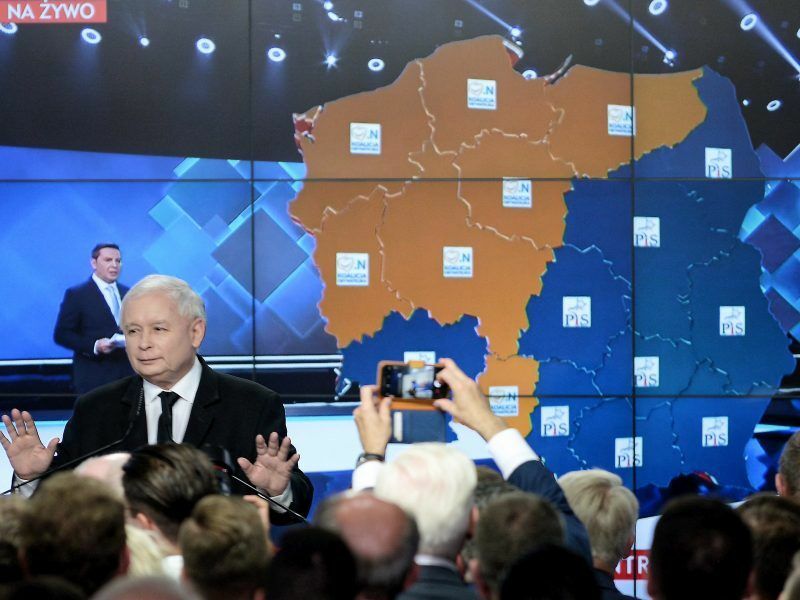 During the election campaign, the Law and Justice party (PiS) used the situation and began to scare Poles with talk of a Muslim invasion, and of terrorism. Jarosław Kaczyński, drawing from the worst sort of patterns, has warned against epidemics, because refugees could be carrying parasites and diseases, he says. Eventually, the PiS government decided it would not respect the obligations of its predecessors and would not accept anyone. The anti-immigrant rhetoric, and the line that Poland is a Christian stronghold besieged by Muslims, remains to this day a basis of party ideology, although the migration crisis has long ended. Poland’s governing nationalists came out on top in regional elections Sunday (21 October), but were losing to opposition centrists in mayoral races in large cities including the capital Warsaw, exit polls showed. Meanwhile, thousands of migrants from Nepal live in Poland. Has this led to social unrest? To acts of violence or assassinations (as in Nepal, until recently Maoist partisans have been still active)? No. Although Nepal is one of the poorest countries in the world, there were no outbreaks of diseases in Poland that could be brought by those immigrants. Let us be honest: If I had not read the statistics, I would not have known that there were so many Nepalese people living in Poland. They disappeared, just like the 25,000 residents of other Asian countries who came to Poland this year. The Nepal example illustrates clearly that PiS politicians were not telling the truth. One can, of course, argue that the Nepalese are not Muslims (in Nepal,barely 4.4% of the residents are Muslim). However, citizens from Muslim Bangladesh also come to Poland. Official figures show that from January to June this year, work permits were given to 3,000 people from this country. Has the terrorist threat in Poland increased due to them? No. It is not newcomers who are a threat to Poles, but Poles to them. The number of racist crimes in Poland remains high; another effect of the campaign launched in 2015 by PiS and which was continued by the party-controlled national media. Anyway, could 7,000 newcomers harm Poland? Taking into account the structure of the Polish Church, statistically, one of them would fall into the responsibility of one and a half parishes. Nevertheless, the Church’s displays of Christian mercy to Syrians were rare, and its leaders never once criticised the current government clearly and unambiguously for opposing the admission of refugees. Poles vote Sunday (21 October) in local elections seen as a key test for the country’s controversial nationalist governing party as it gears up for EU and legislative elections next year. According to data from Germany, which has received more than one million people since the peak of the migration crisis in 2014, it appears that now every fourth refugee already has a job, and 10,000 people find employment every month. Germans train young refugees and help those who have a profession to complete qualifications or even recognise the diplomas. For chambers of crafts, which are unable to find candidates for apprenticeship among young Germans, those who are willing to work as refugees are seen as salvation. Lack of hands to work is an even bigger problem on the German labour market than in Poland. Therefore, it can be assumed that for the relatives who were relocated to Poland, who would like to stay in our country, work would also be found. With that, the argument that they would be dependent on the state and maintained by taxpayers becomes invalid. 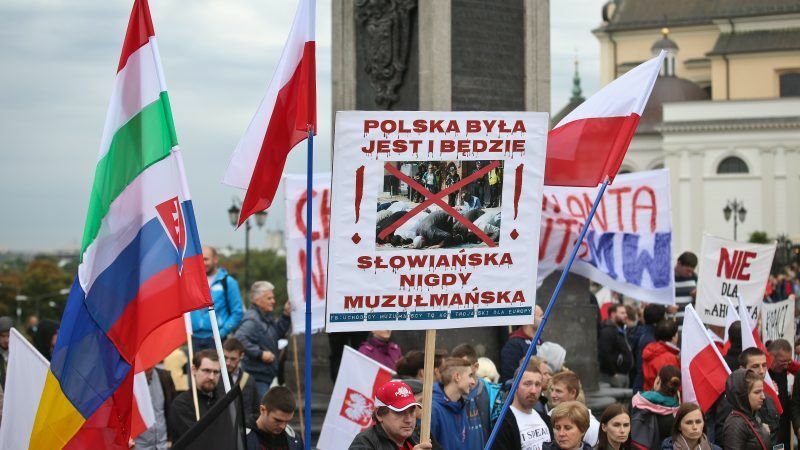 The PiS government’s opposition to the relocation of Syrians to Poland has harmed the country. We have been criticised many times by EU countries and institutions, including the European Parliament. We have lost the reputation of a country that can take responsibility for the community and solve European problems. By refusing to show solidarity with the migration crisis, our country has lost the right to demand solidarity from others. 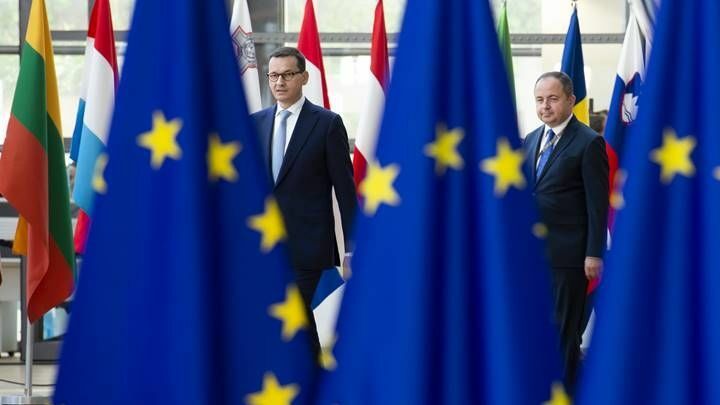 The rich EU countries showed solidarity with Poland by paying into the EU cohesion fund, which financed investments that help poorer countries to catch up. So far, Poland has been its largest beneficiary. In the next multi-annual EU budget, funds for this purpose will be cut by at least a quarter. Diplomats from the Netherlands directly ask Polish colleagues why they should pay for a country that did not agree to help in the migration crisis and violates the rule of law. The destroyed image will be difficult to rebuild. 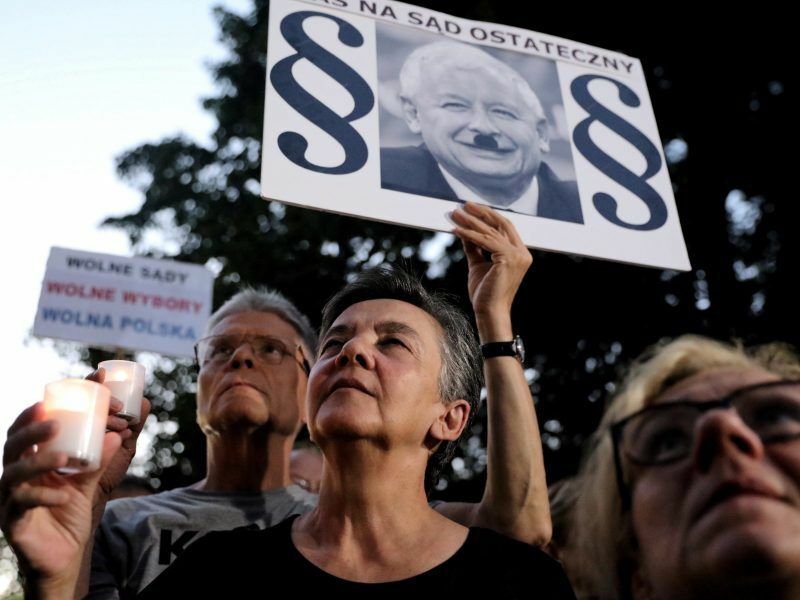 The EU on Tuesday (14 August) stepped up its legal threats to Poland over its controversial supreme court reforms, giving Warsaw one month to comply or risk being hauled before the bloc’s top court. Deputy Minister of Development Paweł Chorąży has just left the government, after a statement made in a public discussion in the Jagiellonian Club, where he said that “the influx of immigrants to our country must increase to maintain economic growth”. From the mouth of a member of the PiS government, whose sacred duty is to protect Poland against the flood of foreigners from other cultures, such words sound like heresy. Besides, radical PiS deputies and other right-wing parties are increasingly anxious about Asian people working in Poland. Extreme right activists are organising social media campaigns. The number of migrants coming to Poland is growing. According to the Centre for Research on Migration of the University of Warsaw, by 2050, 3.8 million foreigners will live in Poland. The largest group of newcomers will come from Ukraine and Asia. The Polish government should already prepare for these changes, prepare solutions that will quickly integrate new residents, including teaching their children the Polish language as soon as possible, and fighting racism and discrimination (PiS politicians deny the existence of these phenomena today). Poland has the comfort that it can learn from mistakes of others, such as Germans, who were convinced for decades that migrants come to their country only briefly, to earn some money and return to their home countries. Now they face the problems that there might be subsequent generations of immigrant children who do not know the language well and are therefore poorly educated, without jobs, without perspectives, and are susceptible to the poison offered by the preachers of the Islamic State. Migration cannot be prevented; in today’s world, states cannot be turned into fortresses. However, you can manage migration so that you can take advantage of it. The question is when Law and Justice will discover this seemingly banal truth. *This article is part of the project “Future is Now, co-financed by the Directorate General for Regional and Urban Policy (DG REGIO) of the European Commission. The information and views presented in this text are solely the opinions of the author and do not necessarily reflect the official position of the European Union. Neither the institutions and bodies of the European Union nor any person acting on their behalf can be held responsible for the use of the information contained therein.